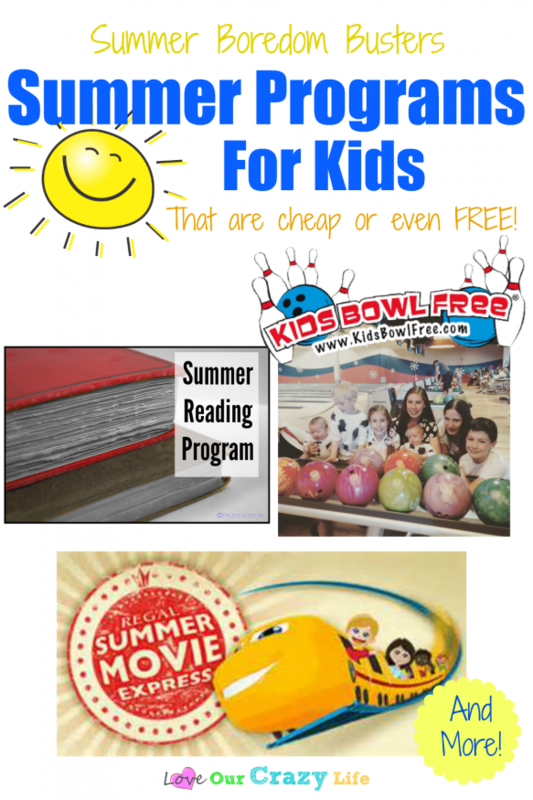 Summer Programs For Kids That Are Cheap or FREE! Are you the betting type? I normally am not, but let’s all place our bets on this next question. How long into the summer before kids starts complaining “I’m bored?” If your kids are like mine you may get a few weeks or maybe only a few days. (And if you are one of those lucky parents who doesn’t have to hear this, please don’t brag.) I have started telling the Goof “only boring people get bored” but truth is, I was the same way as a kid. We look at summer with all this hope, but then we do everything we were so excited for in about 5 days. Now what? And as parents, it can be so hard to try and constantly come up with fun activities, not to mention how it can be hard on our budget. That is why today I am going to share with you summer programs for kids to bust summer boredom- and most of them are super cheap or FREE! I think it was 3 years ago that I started signing the Goof up for a lot of these activities. He was about 3 years old, but we also had his older niece and nephew here for several weeks that summer, and I wanted to make sure that everyone had a lot of fun. Now, these activities have been somewhat of a family tradition and we love doing them. The Goof just asked me when we are going to start doing all of them again this year (we have been quite busy this first few weeks of summer so we haven’t been able to go do them). It is great that he can ask to do these activities and also that I know they are in our budget. Below is a list of summer programs for kids, the cost, and a brief summary. Regal’s Summer Movie Express, $1/person- This is a program that let’s you take your kids to family friendly movies each week and they only charge one dollar per person. 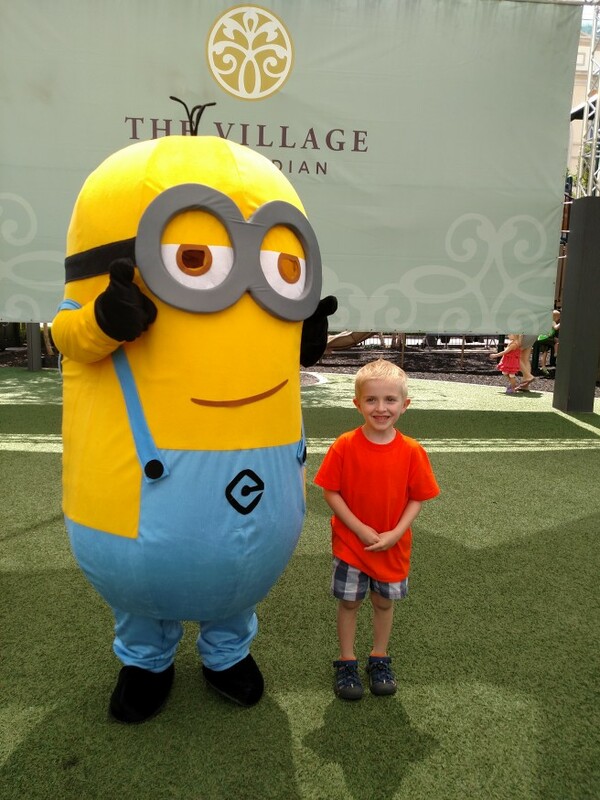 Movies include Home, Minions, The Peanuts Movie and more! You can get the full list and find a participating theater near you by CLICKING HERE. 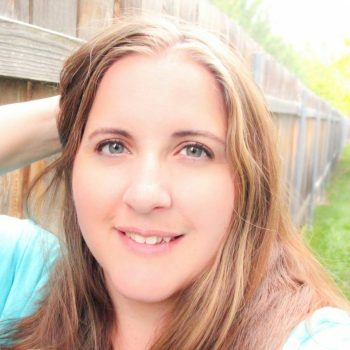 Library Programs, FREE- I absolutely love the library programs for the summer. 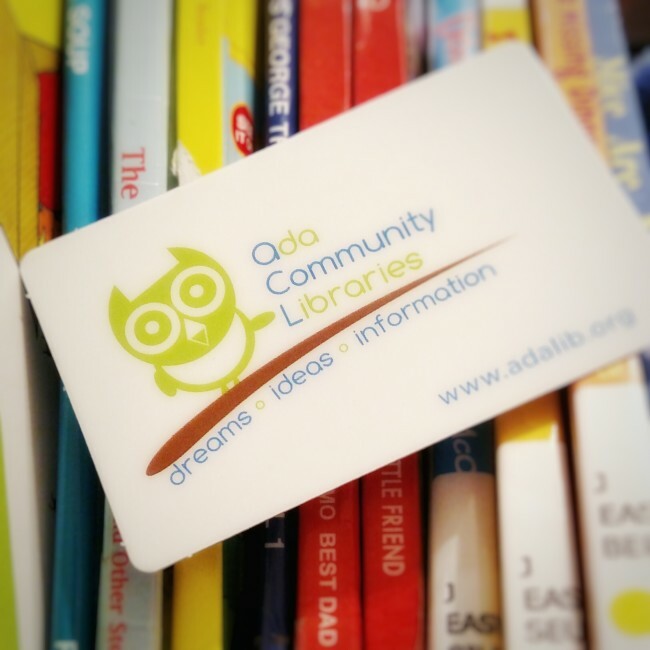 Not only do libraries have a great schedule of activities, from story time, to Lego Building, to even Video games, they also offer a lot of great free materials. Most public libraries also offer some sort of summer reading program that will reward kids (and sometimes even adults) that read over the summer. For more information visit your local library’s website or drop by in person. 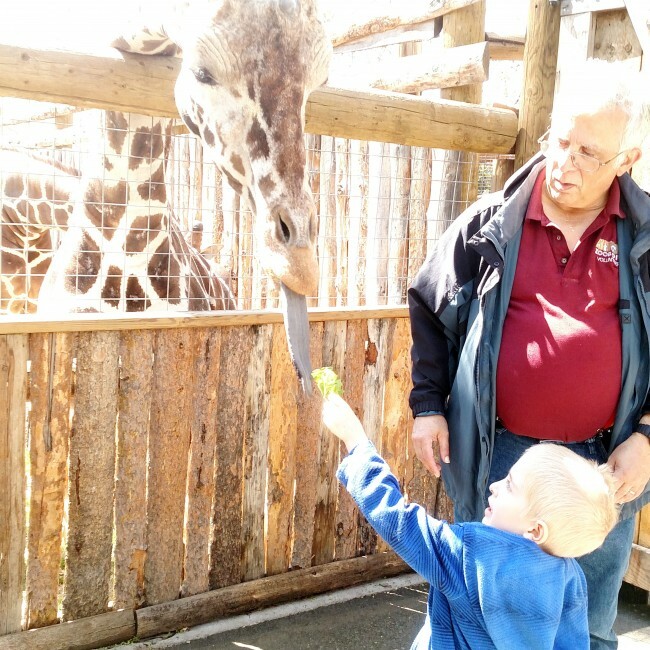 Local Zoos, Aquariums and Museums, cost varies- If you have a local zoo or aquarium, check with them about possible summer programs for children. One year our local Children’s Museum had free entrance on Fridays. Our local Birds of Prey center has a free day every now and then. Also a great boredom buster for older kids could be volunteering at the zoo. I know our local zoo loves having teenagers volunteer in the summer to have education stations and to help with extra exhibits (like the butterfly house) that are open during peak season. Water Parks & Fun Zones, cost varies- Does your area have a local water park or fun zone? Many offer free or discounted rates or programs. Our local water park has Tot Tuesdays where parents get in for half price. Often time the tot is free so it is a great deal. On the same day, the fun zone next door does all day wristbands for mini-golf, bumper boats, and more for only $12. While it may not be in the budget every single week, it could be a great way to break the same old routine in the summer. 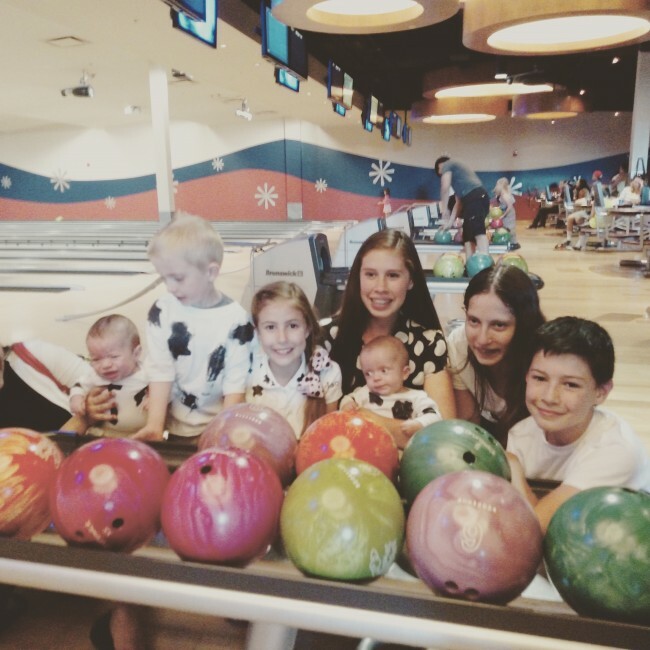 Kids Bowl Free, cost varies- Kids Bowl Free is a nationwide program that partners with local bowling alleys to offer kids ages 16 or 17 and under (depending on the location) the opportunity to bowl 2 free games every day. Adults can also purchase a pass for up to 4 named adults to join the children for those games at a very small fee. And this year, they even pro-rated the adult passes depending on how many people you want on the pass. All bowlers must pay for shoe rentals, but starting last year, many bowling alleys also offer an unlimited shoe rental card that is about the price of 3-4 shoe rentals. (Our local one last year was $15/person) so once you purchase that for each person, all of your future games will be completely free! You can find participating Bowling Alleys and all the details by CLICKING HERE. Smaller Camps, cost varies- When I was younger the school district offered a program called Summer Music. You could take different music classes, at all different levels, and then at the end there was a performance. The cost was minimal and the classes were held at most of the local junior highs. You can find out about programs in your area by googling Summer Camps (or Activities) in ______. Or ask your local school district. Also don’t forget camps for boy scouts, girl scouts, and more. National Parks, cost varies- One of my favorite ideas is if you live near a National Park. Head over and check out a local National Park. You can usually get an annual pass for not much more than a 7 day pass, but there are also several free days, and 4th graders can even get in free. You can learn more about how to get into the National Parks for free in this post I wrote last week about Yellowstone. Church Youth Camps, cost varies- Many churches offer youth camps. Some are sleep away camps, others are just day camps. If you are a member of a church (and eve if you aren’t) check with your church leaders to see if there are any summer camps or programs that your children might be able to participate in. Do you know of any other summer programs that are cheap or free for families to check out? If so, leave a comment below with the program. These are great ideas. We try to visit our local library as much as we can during the summer. They sometimes have movie days for kids. Great list of ideas! I remember literally gasping when I saw the price of most of the summer camps around here… but it’s true, with a little digging, you can find some really awesome, affordable options for summer fun! John is doing the summer reading program for the first time this year and is addicted to trying to reach each level. And I love that every time we are at the library there seems to be some other activity going on. Last time there was a kids intro to sewing class.